I bought a fun table for Lucy's room to go along with her love seat back when we were doing the One Room Challenge. Caning is super popular right now and I love the texture it introduces into a room. 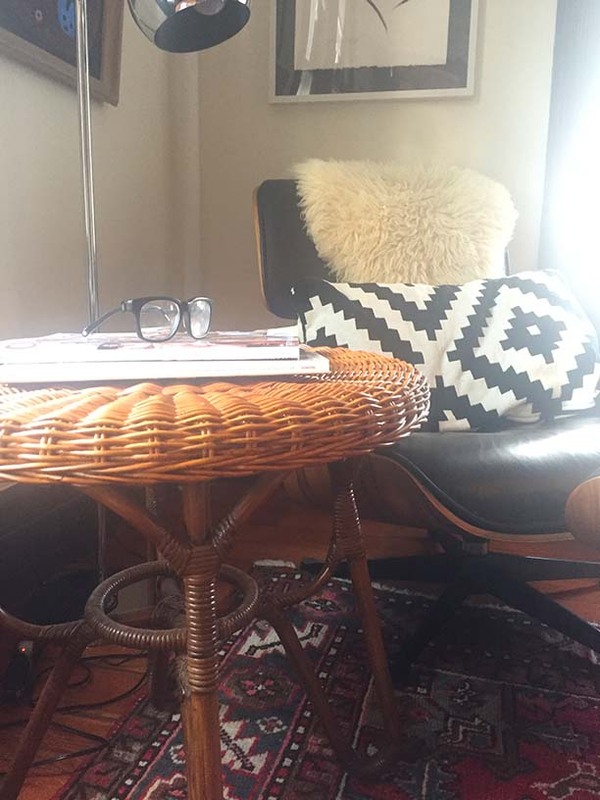 I chose the Bodega Side Table from Selamat Designs. Here it is on our original concept board. I love the way it looks here. 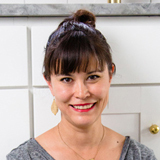 If you haven't taken a look at Selamat's offerings yet - so much cool stuff and a great collection with Justina Blakeney of the Jungalow. 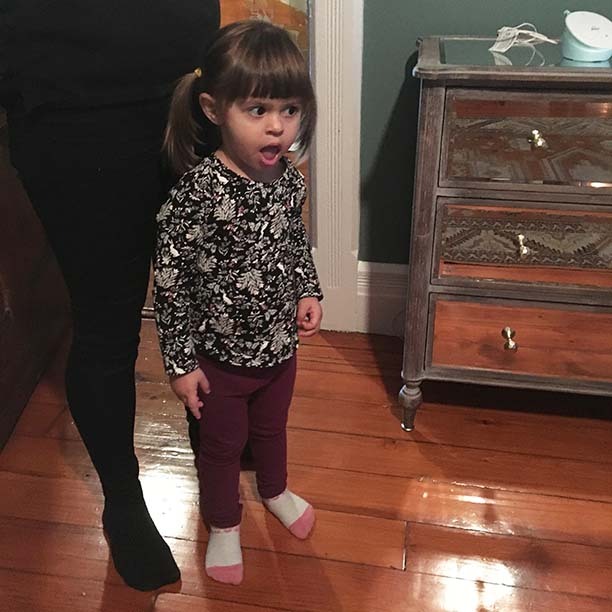 As I was putting together Lucy's room I encountered an issue when I decided to keep her dresser in its original wood tone instead of painting it and suddenly the side table was starting to compete with it. In the end I switched her side table to the silver stump from our room and relocated the Bodega Table to our master bedroom. It really rounds out our little reading nook! It's been so cold out recently that I love the idea of cozying up with a book here (now to find the time)! How has your holiday season been going? 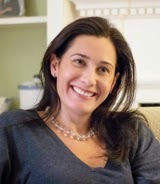 Happy Holidays all, Kate Cabiltes here! 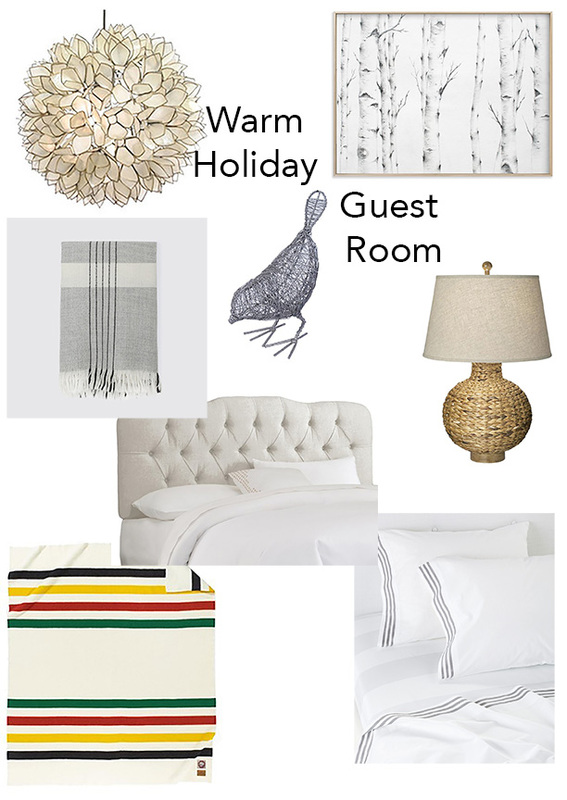 As a host with holiday guests you know of certain must have guest essentials to stock the room with, but striving to outfit a room in a cozy way can make all the difference in truly making guests feel comfortable. 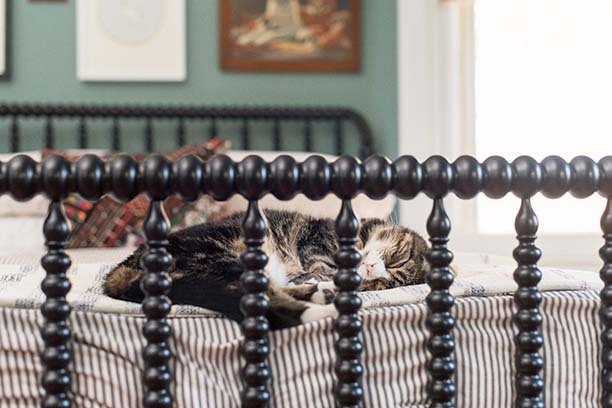 The country home of Ashley Putman featured on Southern Living several years ago (as well as numerous other blogs and publications including Lonny) provided endless inspiration to me when seeking out cozy winter vignettes for my own small spaces. 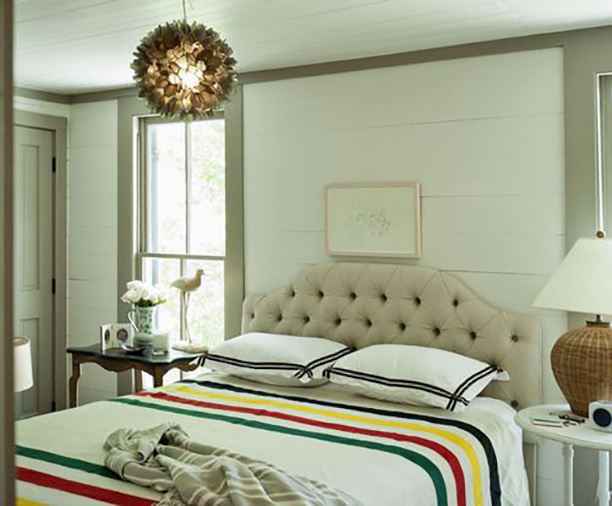 This guest room featuring the classic Pendleton blanket is filled with warm cozy neutrals that give off an eclectic beachy mood as well. 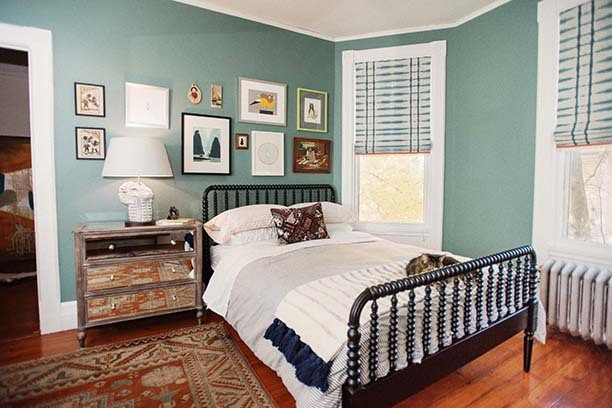 To get the look, pull rattan or seagrass elements, lots of stripes, and a few kitschy knick knacks and you have the look. 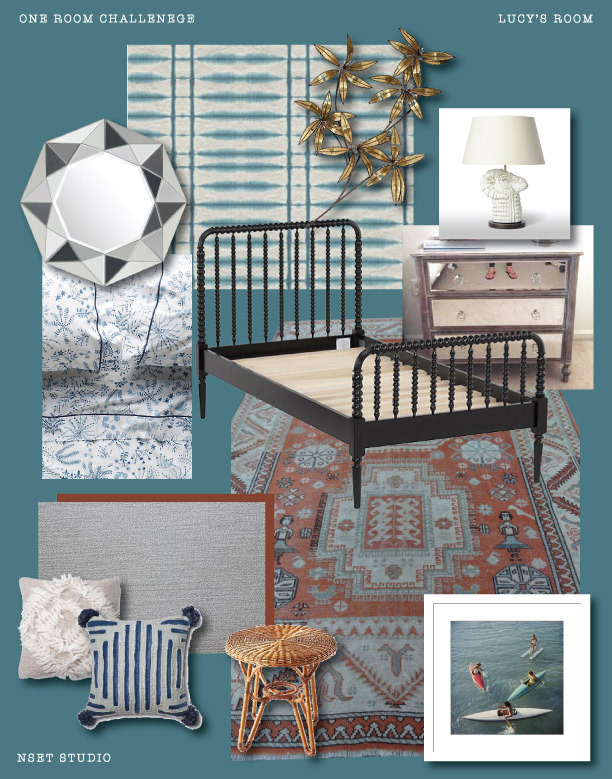 White paneling on the ceiling or headboard add additional coastal vibes. This is a look that can work year round but is appreciated even more during the cold Northeastern winters! Hi all. 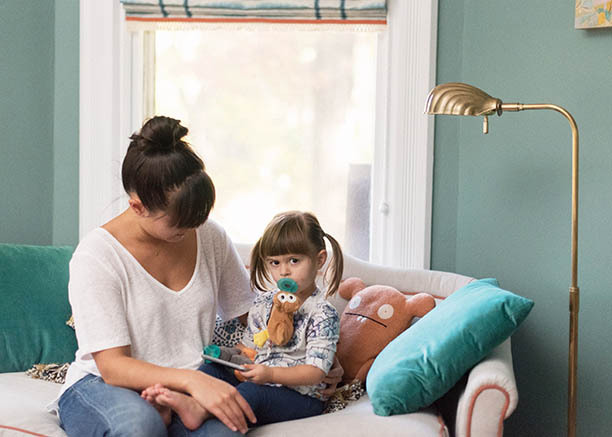 Well, you've seen the nitty gritty of how Lucy's One Room Challenge room came together. 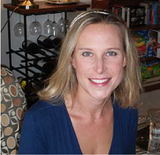 Another one of my favorite pieces in her room is the table lamp from Barbara Cosgrove Lamps. Lamps are a really hard part of the design process for a lot of people. So many spaces rely too heavily on overhead lighting, but table and floor lamps are key to making a space feel finished. They add an extra layer of light - a warm glow - and allow you to vary the lighting in the room by the time of day and situation. Not only that, but lamps give you more functional focused lighting whether its for reading, putting on makeup or working on the computer. The other problem people encounter is the scale of their lamps. Usually people veer too far in one direction selecting lamps that are way too small for the space. For Lucy's room I knew I wanted a task lamp for reading at her sofa area. I also wanted a lamp on the nightstand. 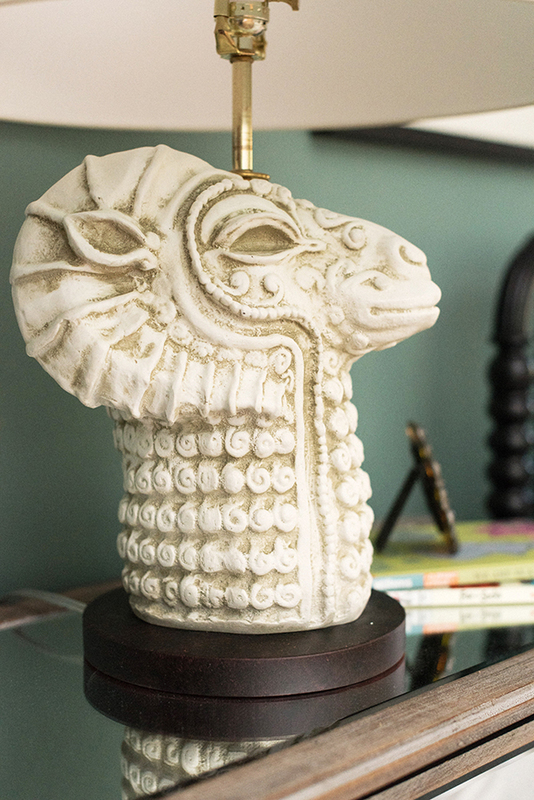 The Mythic Llama Lamp from Barbara Cosgrove was just the right piece. It's large so it has presence but it's not too tall since the nightstand itself is pretty tall already. 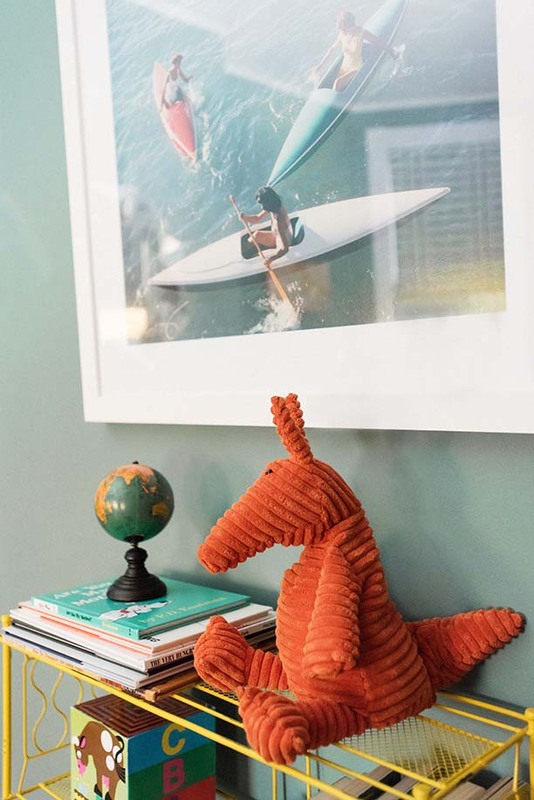 It has a certain funky unexpected quality that I love in introducing in kids' rooms. 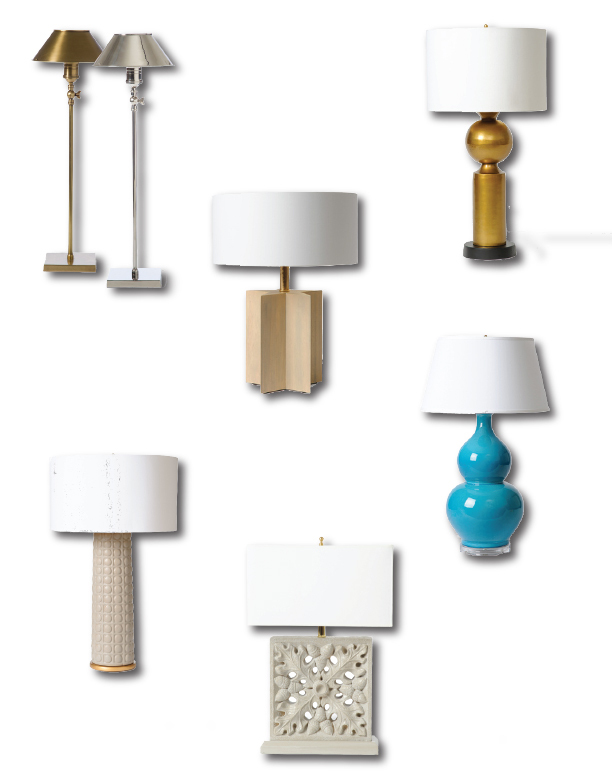 I've rounded up a few more of my favorite Barbara Cosgrove Lamps for your perusal. Study Lamp: These are the unsung heroes of so many interiors. The tall candlestick shape works well on a console where you need a little light or sparkle but don't want to take up too much visual space. Brass Orb Lamp: Love the neoclassical lines of this beauty. She'd also look amazing with a black shade. Star Lamp in Wood: Love how sculptural this is. It is so modern yet has such an iconic shape. Extra Large Double Gourd: A classic lamp and great way to add a shot of color to any interior. Dots in Boxes Lamp: This lamp feels so architectural and the light shining down on that texture is sure to give a dramatic effect. Building Block Weathered Lamp: Beautiful and classic with a nice square shape which is a bit different than your typical table lamp. Definitely a statement piece. 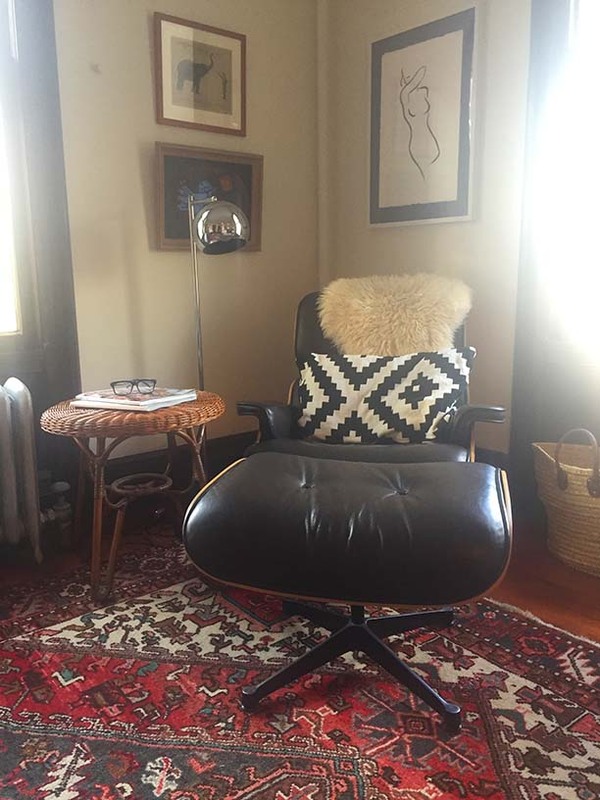 I am a collector / hoarder of lamps, art and chairs, so writing this blog post will likely inspire a few new additions. Do you have any cool lamps in your home? I am not going to lie to you: this PJs-as-fashion moment is speaking to me. Not in the way that the athleisure moment speaks to me -- I wear my workout clothes to work out, thanks. More in a kind of elegant-yet-comfortable way that can translate to the office, or (dare to dream) Date Night. Nice shoes, nice hair, nice sunglasses, nice bag: REQUIRED. Your clothes can be comfortable but the rest of you needs to telegraph chic. Fit is everything. 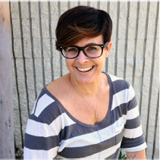 Keep the cuts trim and cropped, not baggy or oversized. Fabric is also everything. This is not the time for cotton jammies. Opt instead for satins, nice wools, or high-quality knits. There are really two ways to take this look: one is in the direction of knitwear. With a structured satchel and a pair of sleek flats, this is a great alternative to a pantsuit for work. 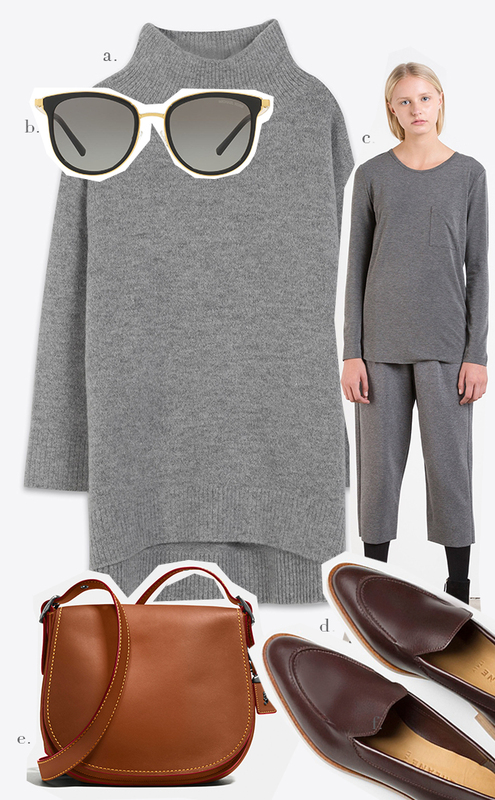 I like to choose two pieces in the same color (such as the gray outfit pictured here), or in two complementary, neutral shades (tan and cream, for example, or black and white). If your day calls for something a little more formal, then a sleek heel with a pointed toe adds length and glamour. The second option, for holiday-party drama, is PJs-as-tuxedo. For this look choose a dark or jewel-toned color palette and a slightly cropped, slightly flared pant. A strappy sandal or bejeweled slide finishes it off. Too much? Too soon? Riff on the look (and reap many of the same comfort benefits) by pairing a tunic-style sweater with wide-leg cropped jeans for day, or a satiny PJ-style shirt with skinny jeans and heels for evening. 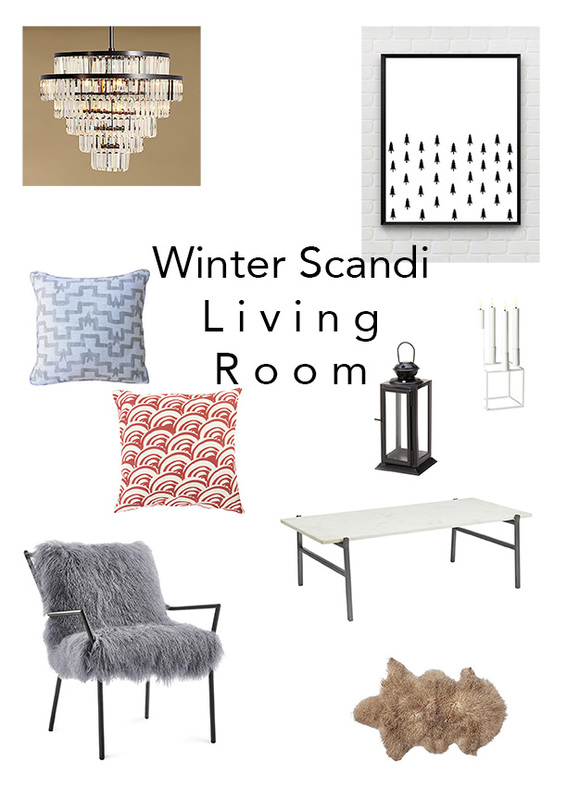 I have been obsessing over Scandinavian interiors the past few months and with winter approaching the coziness of many scandi-style homes is bringing me endless inspiration. 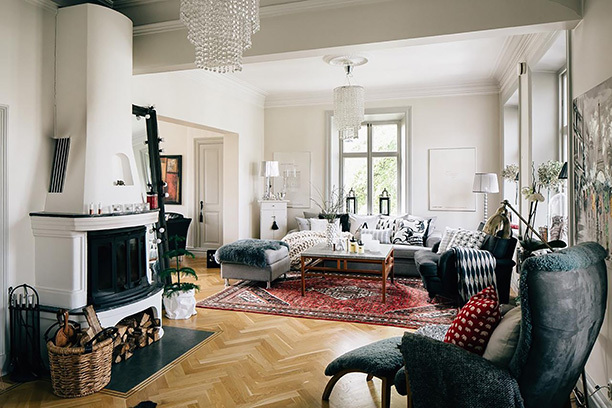 This dreamy living room spotted on Pinterest is filled with layers of texture and pattern making it a bit busier than your typical Scandinavian room that is characterized often by minimalism. The furniture and decor is streamlined and neutral and the colors are predominantly neutral and white, creating a mood that reads warm and fresh. 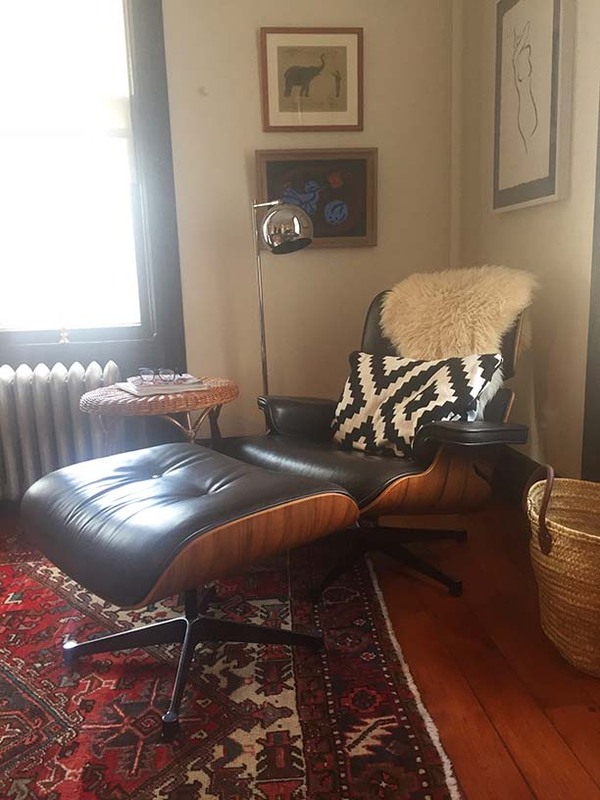 One of my favorite parts is the fur throughout - it kicks the relaxation vibes up another notch, making it impossible not to think of yourself lounging in the chair with a book and tea in hand. As we enter the height of winter, that means one thing.... spring is around the corner! I know, it's hard to imagine as forecasts of snow are now on the horizon. But now is when you have to start planning your big spring projects. And here at Chez Davis our big spring project is going to be painting the exterior of our house. 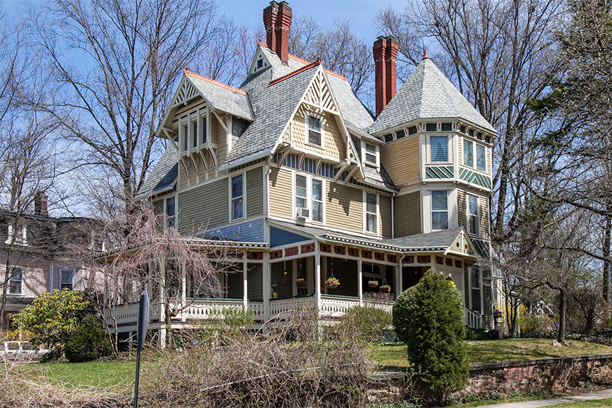 Just as a reminder here is what the outside of the house looks like now (sans the new picket fence). In a previous post I'd explored the idea of a more historic color scheme including painting the window sashes dark. While I love a dark window sash, it just won't work with our existing storm windows. I next thought about a grey palette. I like the direction but it seems a little bland. There is a sort of peacock blue house around the corner that I love so I thought this might be fun. But then circled back to an even darker grey with a few more colored accents. I'm totally on the fence. I think I need to experiment with actual swatches when the weather warms up. What do you think? One of my favorite things about Lucy's room is her new bed. 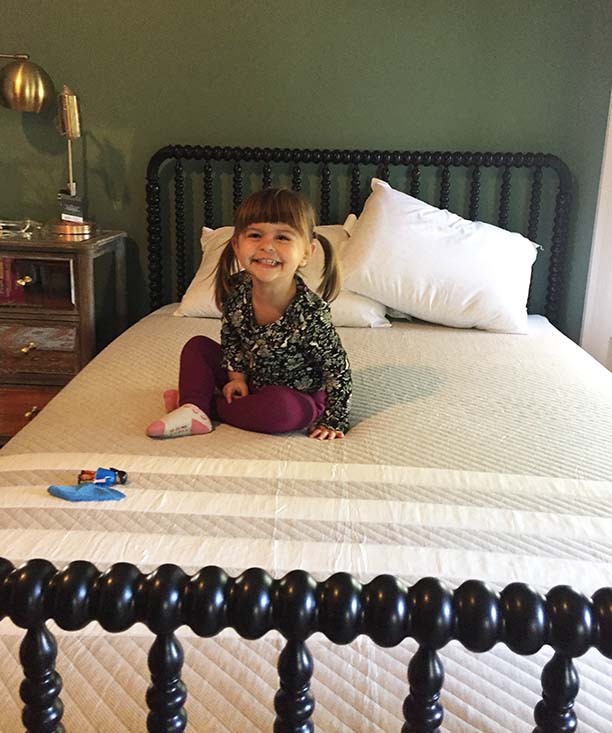 I love the Jenny Lind bed from Land of Nod but what I really like is how comfortable the entire bed due in large part to her new Leesa Mattress. There are several companies out there that offer a foam mattress that ships to your door and that you can try for 100 days. Leesa's mattress is definitely the best of these options. 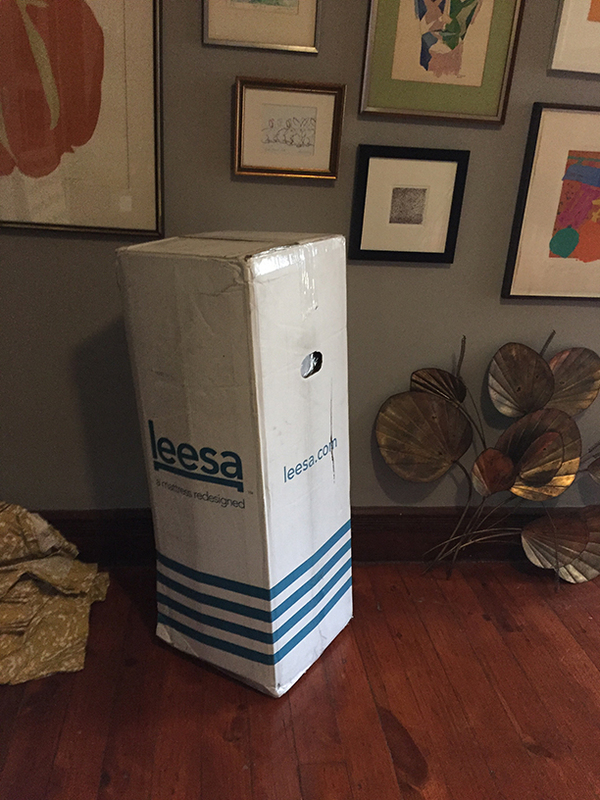 Here is the Leesa Mattress when it was delivered. We got the mattress a little before the bed. Having it shipped compressed into the box made it so much easier to store until the bed arrived. 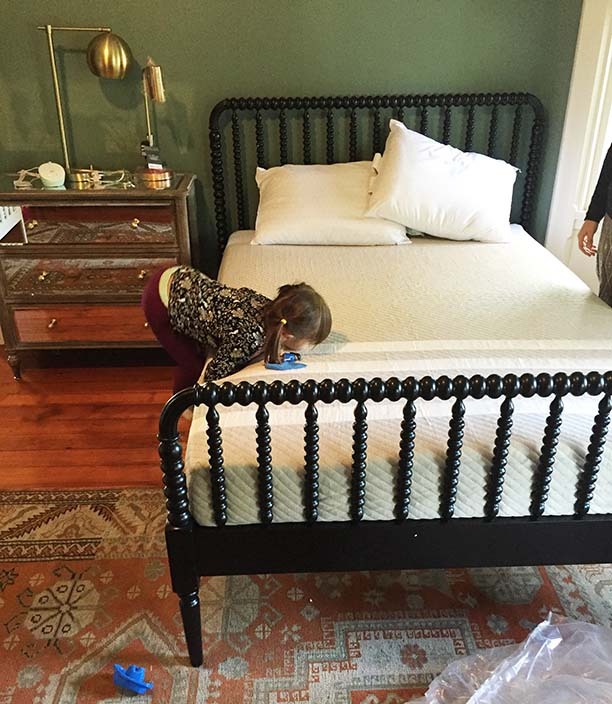 If you recall, Lucy was very surprised when the bed was delivered and assembled. But once we put the mattress on and she got to roll around all over it she was sold! Dressed with linens from West Elm and Ikea, the bed is casual and comfy. Lucy's still stuck in the crib for as long as we can pull that off, but she is becoming more and more eager to try out her big girl bed. 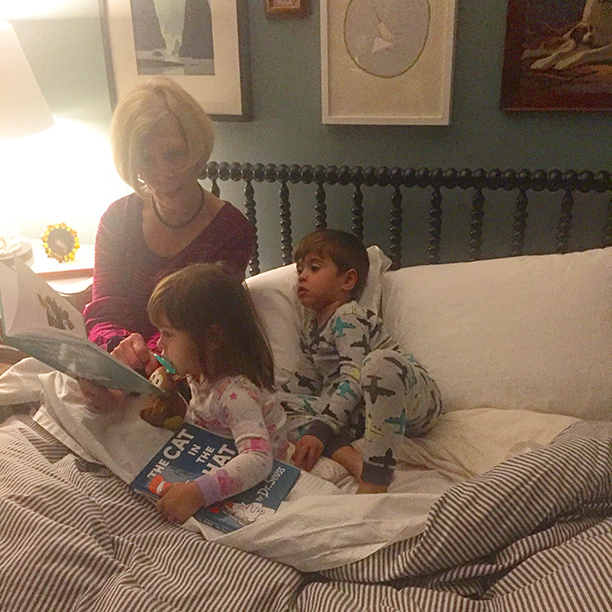 And for now it is a great spot for naps, and bedtime stories. 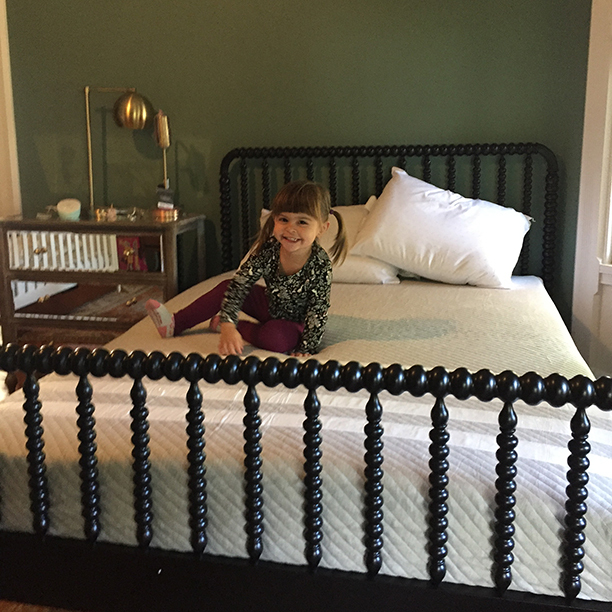 Thanks to Leesa for such a great product and for making Lucy's room so comfortable and inviting. Hi Everyone! It's hard to believe that Lucy's room is done. I've been thinking about all the other projects I need to tackle this winter in the house - some not fun (like tuck pointing our basement foundation walls) and some exciting - like sourcing art for our living room. Speaking of art, what did you think of the art selections in Lucy's room? I loved the gallery wall and Erika Huddleston's amazing painting. 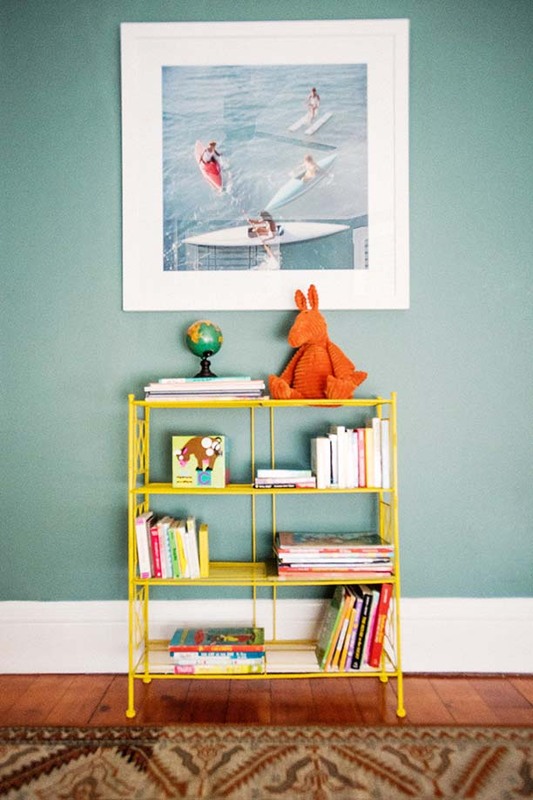 And I really love the way Lucy's little bookshelf wall turned out with that fabulous Slim Aarons print! 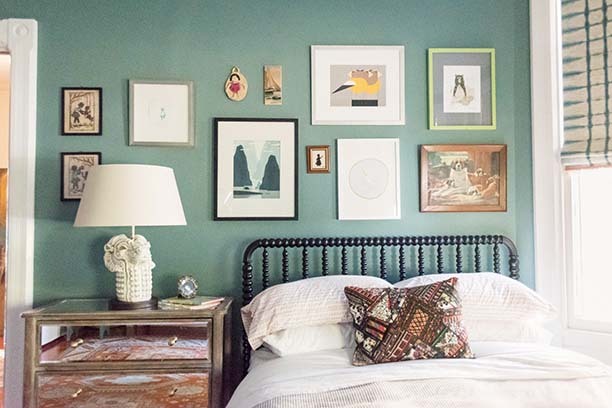 We got the print from Photos.com and I am now obsessed with cruising their site to find art for the rest of the house and for some of my design clients. Because they are part of Getty Images they have a huge bank of images to draw from and some amazing classic press images that you've seen before. The framing and matting options are also nice - simple gallery frames and options to print on canvas and paper. Here is a round up of some of my favorites, which I think would make great Christmas gifts for that discerning aesthete in your family. Swimmers and Surfers on the beach by Jason Hawkes: I know that beach photos are all the rage but I still love this - the humanity mixed with nature! Verbier Vacation by Slim Aarons: I am loving all of Slim Aarons' work on Photos.com It has such a modern quality. This ski mountain photo is a fun take on that. Girl Snorkelling by RJW: There is such moodiness to this piece. Vogue 1949 by Clifford Coffin: Very poppy and graphic! In Flight by Arthur Elgort: I love how editorial this is. A recognizeable model but a funny pose and interesting companion. White Cow by Jojol Photography: This could look so cool printed large in any number of settings. What are your favorite pieces? 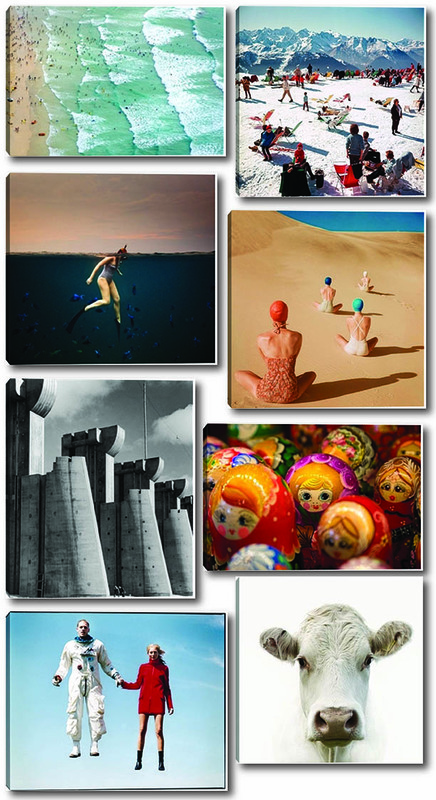 Are you eyeing anything for any art-lover friends and family this holiday season?